You are not logged in. 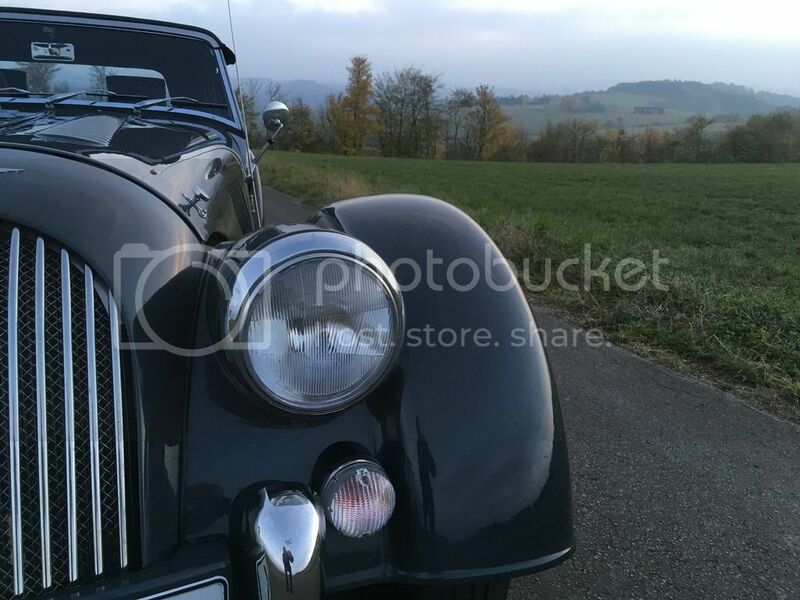 [Log In] Talk Morgan » Forums » Morgan Sports Cars » Classic Morgans » These models don't come to market too often. If I didn't have my beautiful 4/4, and I personalized it technically very well, then such a 70th anniversary LHD would be the car of my choice. I don't think most new Morgan enthusiasts have any idea how lovingly this series was made. There is a yellow one on Williams website that has a marvellous spec. Been nagging at me all weekend. If I hadn’t got my latest toy taking up garage space I’d be seriously tempted back to the Morgan fold. I wonder what wheels they used? They are the same style as my '72, but look much wider. I'm pretty sure they were 15" X 6.0" J rims on the one's I have seen and they look to be the Dunlop pattern wheels. I have never seen one with wire wheels. From memory, there were two cars built to represent each of the (then) 70 years of production. So each ‘year’ differed in detail specification. No all had the solid wheels, but all carried a plaque on the dash’ to signify the year. They also had the 1.8 Duratec engine, rather than the 1.8 Zetec. To me the Duratec feels more linear, but with less torque. 6j x 15 steel wheels. But, my 1995 model was able to have wires as an option, which I took. Head rests....I have the boxy ones. Wings....mine are narrow body, the piccies seem to show wide(r). That is a good car - I know that it has been very much loved.